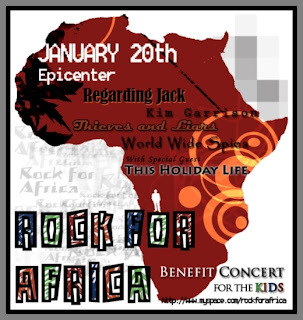 Rock of Africa is presenting a benefit Concert for COTN SmilePacks with all proceeds to create and send SmilePacks to Malawi and Sierra Leone. When God inspired me to create SmilePacks in 2002, I could not have imagined then that we would be receiving thousands of packs across the USA and a Benefit Concert too. If anyone is at the concert, please let me know and take pictures for my blog.